WARSAW, Poland (AP) — The deputy to slain Gdansk Mayor Pawel Adamowicz has won a by-election to become his successor and the first woman to hold the post, officials in Gdansk said Monday. 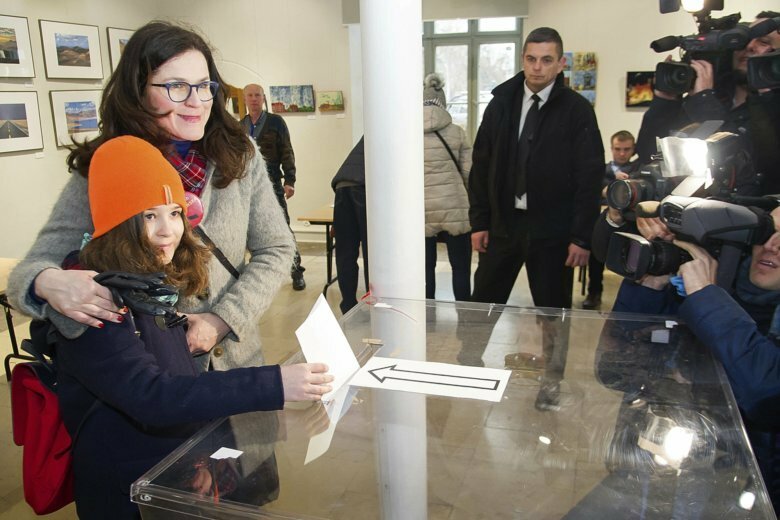 The city’s electoral commission said that 39-year-old lawyer Aleksandra Dulkiewicz was backed by more than 82 percent of voters in Sunday’s vote. She had been acting mayor since Adamowicz’s Jan. 14 death from stab wounds he suffered the day before while onstage during a charity event. The attacker then grabbed a microphone and said it was revenge against an opposition political party that Adamowicz had once belonged to. The attacker is awaiting trial. Adamowicz’s slaying became a platform for calls for political reconciliation but also criticism of Poland’s conservative ruling party. In her first comments as mayor, Dulkiewicz thanked voters and asked them to help cultivate a sense of community that grew out of their collective sorrow in the weeks since Adamowicz’s death.